We don’t have any exact dates for when Apple will announce and release their sixth-generation iPhone, but based on last year’s iPhone 4S release in October and the lack of any hardware announcements at this year’s Worldwide Developers Conference, we can only assume that the new iPhone will follow a similar launch schedule and land around October of this year. Even though that is still four months away, we have already had rumors, internet chit chat and conjecture galore about the purported aesthetics and specifications. Until we get some official confirmation from the powers which are at Apple, all we can do at most is give out educated guesses and piece together the supposed leaked parts that we have managed to see to date. Using those little nuggets of information we have already seen, some are very lifelike and possibly highly accurate renders of what Martin Hajek believes Apple’s next iPhone will look like, with the images painting an extremely attractive and elegant picture. 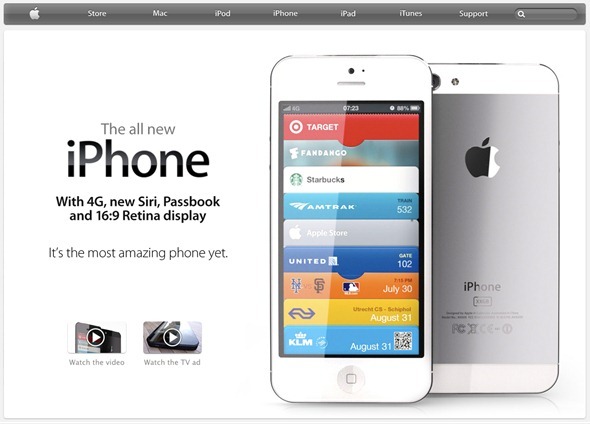 Putting the renders to one side, just what would Apple’s home page look like when the device is ultimately announced? The Apple.com website, or localized versions there of, generally acts as the first port of call if a user is looking for information regarding new products. 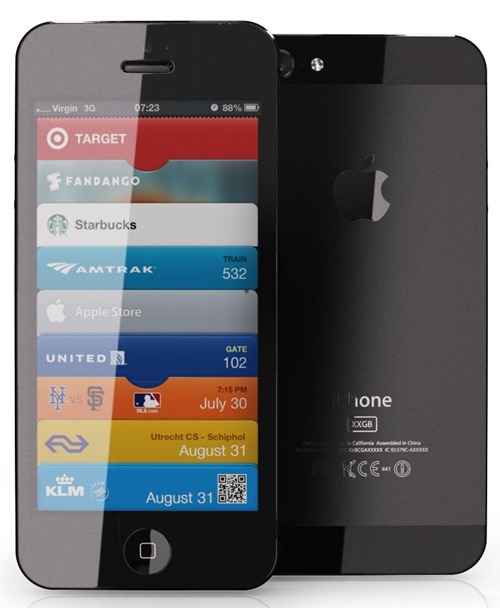 Apple is generally extremely good at marketing, but one thing they do extremely well is; paint an extremely attractive picture through images and text on their simple but beautiful website, and when the next iPhone is released, it could possibly look something like the mocked up image below. When October time does eventually come around, that page, or a variant of it would become of the most visited pages on the web as technology lovers flock to see what Apple is planning on launching into the smartphone market. It will be extremely interesting to see if Tim Cook and his team actually pull the covers off anything that isn’t expected and blind-side us all, but if public reaction is anything to go by then it doesn’t look as if consumers would be to disappointed if the new iPhone did resemble those that have been already mocked up. Featuring a similar but elongated form, the purported device looks beautiful in both black and white. Alas, as is always the case, there is a huge element of guess work involved and we could just be setting ourselves up for fall by getting our hearts set on this fantasy device. Stay tuned for more developments.